Think of a watch as a way for you to express yourself. Your selection is a personal choice; an extension of your taste, lifestyle and accomplishments. Only you know best what will work for you and your needs. Your luxury watch should be what you like and want, as well as easy-to-read and comfortable on your wrist. What style of timepiece do you want: classic, dress or sport (pilot, sailing, diving, or race-car motif)? Do you want the dial to have numbers or markers? If you prefer numerals, do you like Arabic or Roman more? Is a neutral or colored dial preferable? Would you like a stainless steel, titanium, gold, ceramic or diamond bezel? What kind of complication do you need? Have you considered your proportions, relative to watch size? There is no typical wrist size or size of watch; try before you buy! Should the timepiece have quartz or mechanical movement? Do you want a leather or rubber strap, or a metal bracelet? A timeless Swiss watch is both a piece of jewelry and an accessory, at-once fashionable and functional. Classic watchmakers, such as Breitling, Rolex, Tudor, Tag-Heuerand Carl F. Bucherer are established brands that are a safe choice. Breitling, founded in 1884, is a technical watch expert, leading the way in wrist chronographs. Rolex tests their watches to the extreme; the brand is backed by more than a century of innovation. 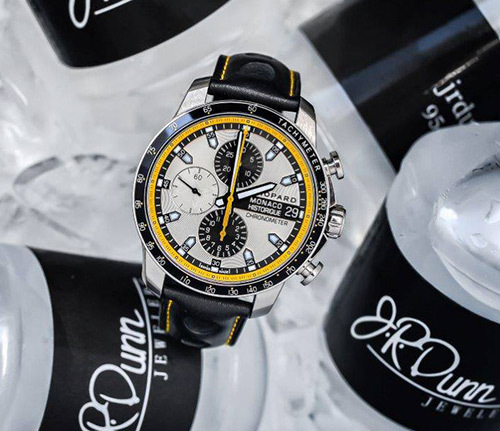 Tudor offers classic refinement with a modern twist; the clean lines of the watches balance elegance and performance. Chopard watches for men and women are luxurious, available in platinum, 18kt gold, titanium and stainless steel. 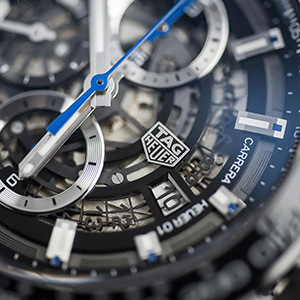 Tag-Heuer, founded in 1860, delivers prestige and performance. Carl F. Bucherer is world-renowned for innovative, sleek styles. They all have this common: history, reliability and a proven track record of quality. Their designs combine design, engineering, mechanics and art. Never spend more than you can afford, and always buy from a trusted source that will do the right thing is there is a problem. Working with an authorized retailer for your brand of choice also ensures that you are buying genuine merchandise. To find an authorized retailer, go to the manufacturer’s website to see your jeweler’s name is listed as part of their distribution network. You can also call the manufacturer to ask. The procurement of a luxury watch is an emotional investment; it is a piece of history destined to be passed from generation to generation.